There’s no rest for the weary as the Denver Broncos’ coaching staff is back to work already, but this time, they’re coaching the future of the NFL at the Senior Bowl in Mobile, Ala.
Joseph spoke about the opportunity to coach the young quarterbacks on the North team: Wyoming’s Josh Allen, Oklahoma’s Baker Mayfield, Washington State’s Luke Falk and Nebraska’s Tanner Lee, along with the many advantages that the Broncos receive by coaching the Senior Bowl. Joseph spoke about how he will organize his practices this week and how he will attempt to highlight the individual college players. 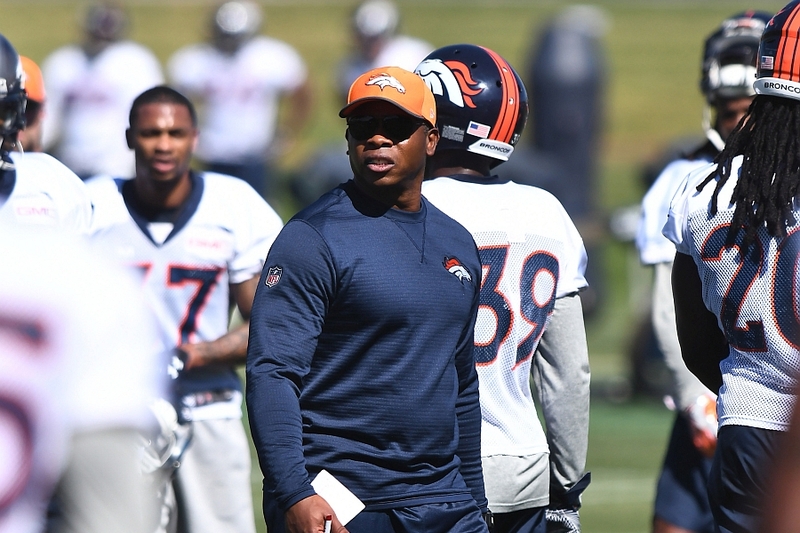 Click here to listen to the full press conference with Vance Joseph, including what he had to say about the quarterbacks he’s coaching and more, or watch the full press conference below.